Here is where it gets really romantic! The Austrian Romantic Road runs 380 kilometres from Vienna to Salzburg, past picturesque villages and beautiful squares, inviting you to discover the country's most beautiful places. Soft curves, amazing views and beautifully situated rest stops are part of the programme when you explore the Romantic Road. And thanks to the "Romantik Hotel" Gersberg Alm, you have found the perfect hotel for romantic drives. The Austrian Romantic Road connects 20 magical villages. Beautiful squares, sophisticated palaces, glimmering lakes, majestic castles, tranquil monasteries and interesting museums along the Romantic Road are just waiting for you to visit. And between these points of interest you will be able to enjoy the picturesque drive. And the "Romantik Hotel" Gersberg Alm is perfectly situated along the Austrian Romantic Road – great for a stop or an overnight stay. 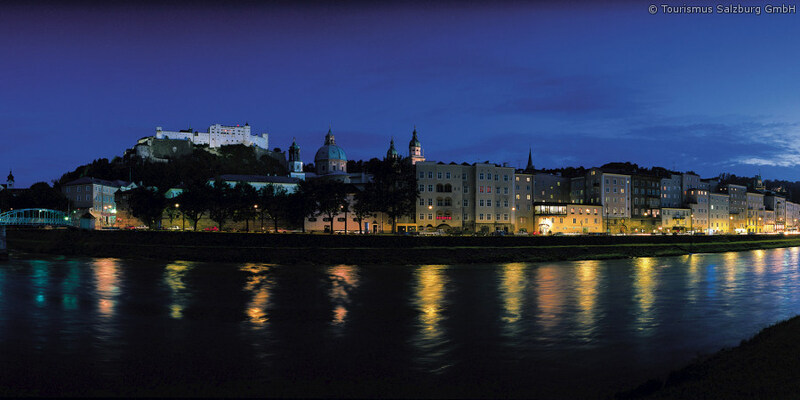 Discover the sights and attractions of Salzburg, such as the Hohensalzburg Fortress, the Hellbrunn Palace and its Trick Fountains, and Mozart's birth house and residence. Visit the St. Michael Basilica, explore the museums in MondSeeLand and take a boat trip on the beautiful lake. Dive into the time of the emperor: the Kaiservilla, the Lehárvilla and the Museum of the city of Bad Ischl radiate nostalgic charm. Take on a centuries-old pilgrim trail and discover the ancient farmlands and picturesque Wolfgangsee. Take a trip with the paddleboat around the Traunsee lake, visit the Gmundner ceramics factory or be amazed by the Renaissance town hall with its ceramic glockenspiel. The Benedictine monastery, the Kremsegg Castle's museum of musical instruments, and the observatory await you. You will also find romance here at the hotel: secluded places outside, comfortable rooms with modern amenities and the rustic dining rooms of the hotel restaurant guarantee wonderful moments for two. Explore the Romantic Road and choose the Gersberg Alm as your holiday accommodation – we look forward to your visit!